Flights to Italy are expensive, plus there’s so much to see, do and – most importantly – eat when you get there. Luckily, Giro d’Italia, a new restaurant in the old 38 Chairs (and Paragon Cafe) premises puts a grand tour within reach of hungry but time-and-euro-poor diners. A map of Italy – that delicious boot – takes up half the menu but instead of showing the names of provinces, it mentions dishes that come from each region. So, you won’t see Sicily, you’ll see the southern island called “Arancini” and you’ll find the eastern state of “Calamari Fritti” where most travellers stumble on Marche. It’s how I travel anyway, so I’m all for it. 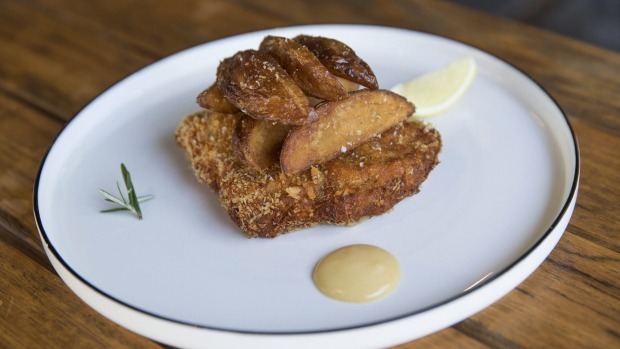 Chef and owner Domenico di Marco has been in Melbourne four years. He grew up in Bologna, in Italy’s north, but his parents were from Calabria in the south so he’s a versatile minstrel of cucina Italia. 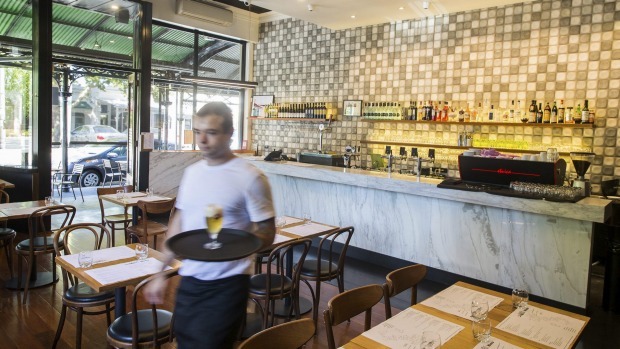 Previously, di Marco ran Albert Park’s l’Altro Mondo, where he cooked progressive, fusion versions of Italian dishes, having become intoxicated with Asian flavours upon his arrival in our hemisphere. Giro is different – the food is simple, the menu is tight and the ambition is to transport diners with emotion and honesty rather than culinary acrobatics. It works. The calamari is a golden pile of tangled tentacles, crisp and tender in all the right places, and served with a silky squid ink aioli. Those Sicilian arancini are crumbed with yesterday’s house-made focaccia; perfectly cooked risotto rice is studded with peas and chewy provolone cheese. Porchetta, rolled, roasted, sliced pork “alla Romana”, is gently warmed through so it’s half-melted and gleaming, then topped with shards of crackling, roasted capsicum slices, capers and hard herbs. There’s not much to it but there doesn’t need to be when you sense every morsel has been placed with a cook’s caress. Pork is also shown the love in the cotoletta: a fillet that’s rolled thin so it can be folded with melty fontina cheese and ham. It’s coaxed to golden in foaming butter and topped with triple-cooked potatoes. You’ll want a salad with this one; the cos lettuce with walnuts and lemon is a frisky foil. We’re in Italy so we’re serious about pasta. 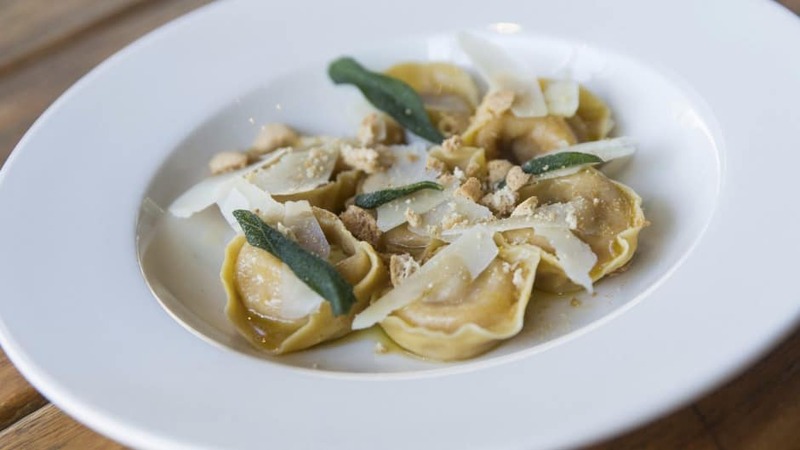 Plump tortelli are stuffed with sweet roasted pumpkin, parmesan and orange zest and drizzled with a sauce of burnt butter, sage and amaretti biscuits. The pasta casing is made with the pumpkin’s roasting juices, giving it a golden hue and tying the flavours together. It’s tasty, sure, but also part of a no-waste philosophy that sees pumpkin seeds used in salads, parsley stalks blitzed into herb oil and – amazingly – banana peel poached and turned into a puree that’s actually nice. Tiramisu (claimed by the Veneto, loved by the world) is based on di Marco’s nonna’s recipe boosted by a cheffy trick. Di Marco whisks egg yolks with water then sugar syrup to make what’s called a pâte a bombe. 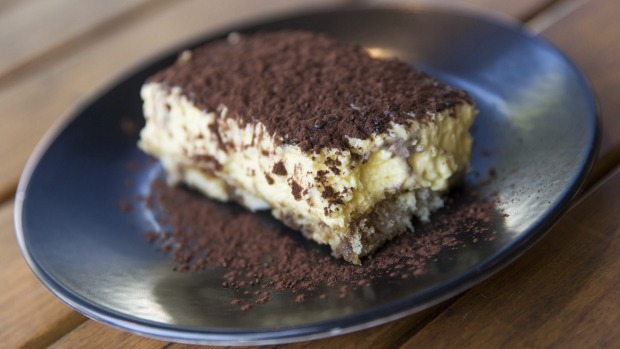 It’s the foamy, heavenly base of what’s instantly become one of Melbourne’s best tiramisus. What really makes Giro d’Italia special is the passion of its chef: di Marco darts between kitchen and dining room, welcoming, story-telling, sharing. He’s living this restaurant – he even sleeps upstairs – and he’s proof that food isn’t just fuel, it’s a tasty vehicle for cultural connection. First published in Good Food, 12th March 2019.